Another major celebrity has gone rogue. 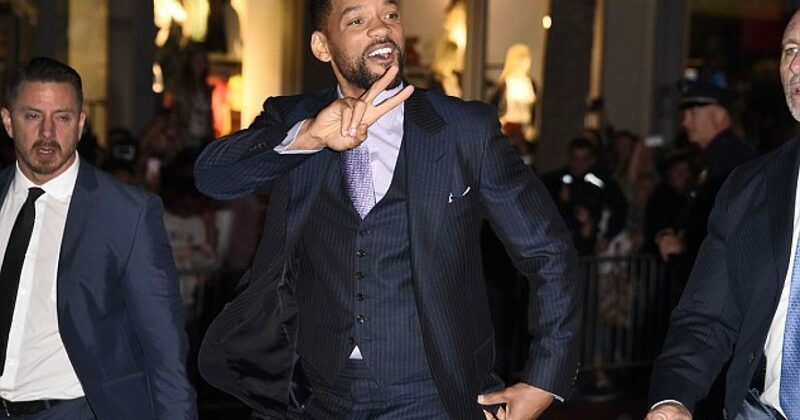 Will Smith, quite a conventional star known for his squeaky-clean hip-hop and superior acting abilities, has stunningly come out to praise Kanye West for leaving the ideological plantation of the left and pursuing his own ideas. OK, so he didn’t really put it that way, but he did praise Kanye for pursuing his own ideas and enduring the resulting media backlash, which was severe. “It’s not an easy task to say and do things that elevate people. That’s what I love about Kanye right now, and he is willing to take the smash down in order to push ideas,” said Smith in a video, which was retweeted by Dave Rubin, a prominent figure in the so-called Intellectual Dark Web. So what is the Intellectual Dark Web, to which Rubin welcomed Smith, the latest celebrity to dare think outside of the one-size-fits-all left-wing Hollywood paradigm? IDW is a controversial subject to some, an unknown acronym to others, but most importantly, it’s an informational safe haven. It is a break from the controlled narrative, a glitch in the system, and a powerful movement that is wrecking through the ironclad control of establishment media. In a hyper-polarized culture, when losing the battle of ideas, some lose gracefully, while others not so much. The dialogue begins to break down and the integrity of the process is lost: winning only matters, not being accurate or honest. Confirming the intellectual honesty and rigorousness of the IDW, Daily Wire Editor-in-Chief Ben Shapiro reflects on a conversation with Sam Harris: “I want to hear the most sophisticated version of the pro-choice argument, not the simplest. There is something adventurous about someone who is exposing a rift in your thinking that now has to be [reckoned] with,” Shapiro stated. The most powerful think about the IDW is that it is not defined by party lines, ideological labels, or really anything other than free and independent thought. It’s actually a decent reflection of a reality many have lost sight of, which is that ideology is on a spectrum and not binary (you bigots). It’s refreshing to see so many people willing to break free of this binary view of intellectualism and join together in the search for truth and productive discourse. So, Will Smith, you are in good company!